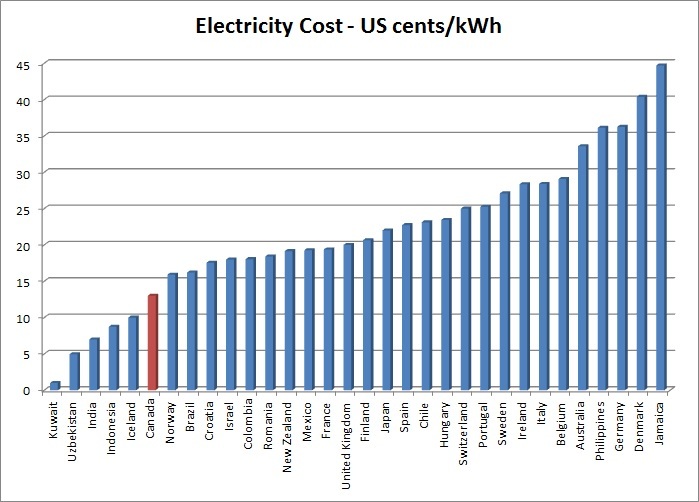 Although it may seem painful to have to pay your electricity bill every month, just be glad you don't live in another country like Germany or Australia. All across Canada we enjoy some of the lowest electricity rates in the world. This is especially true when you consider the wages in Canada vs. places like India where the rates may be lower.